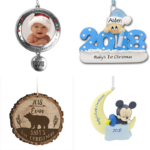 With Christmas approaching fast, it is time to start thinking about shopping. 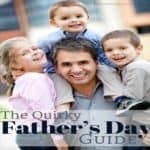 I have solutions for people who want to find cheap Christmas gifts for kids that the kids will actually love! Buying cheap Christmas gifts for kids doesn't mean you don't love your children. Let's face it, if you read my blog you may have read why we don't even buy toys for our kids. Many times our children don't appreciate a gift just because of how much we paid for it. They appreciate gifts from the heart and gifts they know were picked out special for them. 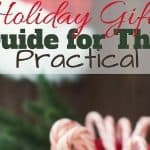 I am a firm believer that a frugal Christmas doesn't mean a bad Christmas! It is very important to stick with our budgets even during the holidays. 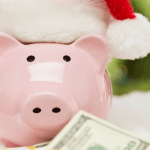 If you don't have a budget plan going into the holidays there is still time! Check out my Merry Debt-Free Christmas Bundle for all the information you need to stay debt-free for Christmas! Luckily buying cheap Christmas gifts for your kids will help you stick within your means this year. Some of the best toys for children under five are gifts they can play with over and over. Items that will keep them busy are usually a hit! Here are some great ideas for kids under five! Hot Wheels Gift Packs will be much-loved by little boys and the gift pack makes it look like a more expensive gift. You can't go wrong with Melissa and Doug sets for boys or girls. I know these sets can be a little high-priced, but if you wait for a sale you can get some cute ones for under $15. The best part is these toys last forever so it is a great investment especially if you have more children later! Infantino has some wonderful interactive toys for babies and toddlers. There are lots of options for under $20. I love how many of these light up and can keep little ones entertained for a long time. Fisher Price Laugh & Learn also has some quality toys for little ones that are usually very fairly priced. My kids loved getting stuffed animals when they were young. Typically it is a cheap gift, but one that can be cherished for years to come. I try to find a stuffed animal that really pairs with my child's personality to make it more special. Children aged five to seven are starting to get more “into” certain toys. They may take making a Christmas list seriously. I try not to fall into the trap of scrambling to get those “hot” hard to find toys that come out EVERY SINGLE YEAR! These are usually fad toys and the interest in the toy will fade by February. Here are some cheap, but quality toy ideas for kids five to seven. Girls are probably starting to like dolls and Barbie. The good news is that Barbie is usually very reasonably priced and can be found at Dollar Stores and other discount locations. Barbie's last a long time and I know girls who have played with the same Barbie's for MANY years! Boys may be getting into action figures like Lego, Marvel, etc. Purchasing action figures for boys is usually a good investment. This is something most boys don't outgrow until middle school. This is a great age to get kids playing games. I love the sales on games that start happening in November! Games bring the whole family a fun time and also teach kids a lot of lessons like taking turns and being a good loser! The older kids get the more expensive their wants tend to be. A lot of the toys for kids age seven to ten are getting more pricey. Let's talk Lego for a minute. Lego made a smart move when they introduced girl-themed Lego sets. The problem is that now parents of boys and girls are faced with being able to afford these amazing Lego sets. All of my kids have loved Lego sets and they are EXPENSIVE. I love the quality of Lego and the way building with Lego's helps my kids minds, fine motor skills and keeps them busy for hours. I don't love the price. The best advice I can give you is to watch sales very closely. Black Friday and Cyber Monday will probably be the best time to find sets a little cheaper. 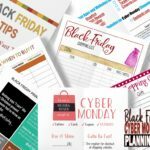 You will definitely need this Black Friday Bundle to keep your organized and on top of what you need to buy. I have also found new Lego sets on eBay for a good price especially during the spring and summer…but not before Christmas! Some other toys that are cheap and kids will love in this age group are Nerf guns, activity sets, games and outdoor toys. It is going to be harder to find cheap Christmas gifts for kids over twelve years old. The number one item on most tween and teen lists are going to be ELECTRONICS. Just the word electronics makes my budget shudder! This is where watching the sales becomes imperative. There are usually some amazing electronics deals during late November and even when it gets close to Christmas. Be open to buying a different brand because different brands can be just as good, but not as expensive. There are also lots of great non-electronic gifts for this age group. Girls will be starting to love clothing, jewelry, gift cards, lotions, etc. These are all items that can be purchased at reasonable or even cheap prices. Boys will probably be into sports, sports teams, maybe a game for their game system or a “funny” gift. Don't lose hope for this age group. You may have to get a little creative to keep the costs down. 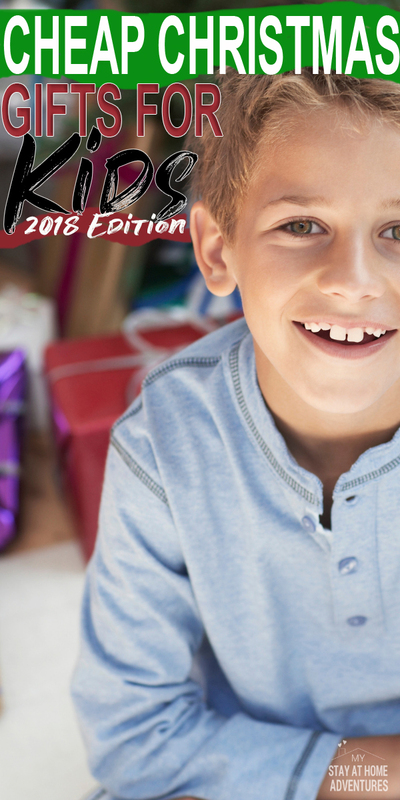 It is possible to buy cheap Christmas gifts for kids and still seeing smiling faces on Christmas morning. Plan ahead…shop the sales and remember the reason for the season.